Hello, hello! At the end of 2014, I continued with a mini series I began a few years ago and featured the top posts of the year on PBF. I thought it might be fun to continue the series all year long and highlight the top 15 posts from each month on the blog at the end of every month of 2015. We’re kicking things off with the most popular PBF posts (according to pageviews) from the month of January, divided into three categories: Recipes, Fitness and Extras. This recipe for healthy breakfast potatoes was one Ryan and I thoroughly enjoyed with eggs and avocado for a delicious and filling healthy Sunday breakfast. They also make a great side dish with everything from burgers and meatloaf to grilled chicken and salmon. I shared the recipe for these amazingly tasty cookies from my beautiful blogger friend Katie’s new healthy sweets cookbook, Chocolate Covered Katie, and I couldn’t get enough of them this month, so I’m happy to see that they were popular with you guys, too! 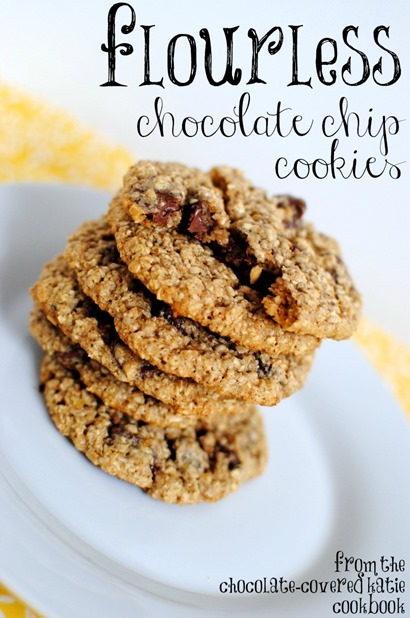 The cookies are made with oats ground up in the food processor and are easily one of the best recipes for oatmeal chocolate chip cookies I’ve ever had. 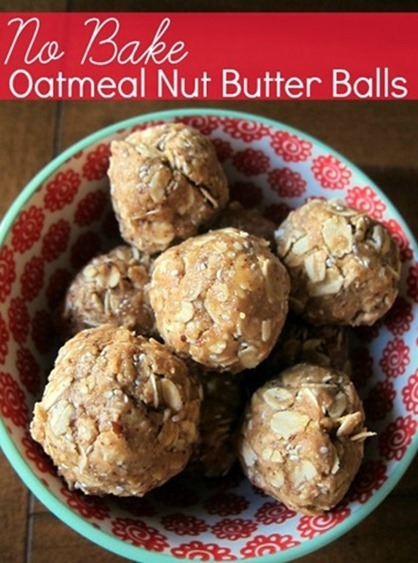 If you’re on the lookout for a simple but delicious tasty treat that requires almost no time to throw together, these nut butter balls are a great option for a grab-and-go snack or a post-dinner sweet treat. A little twist on a classic recipe! 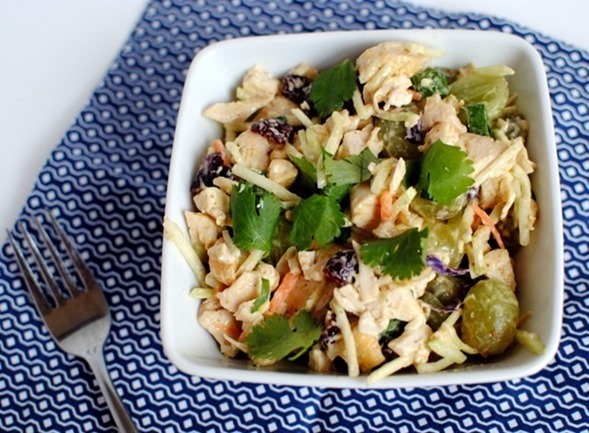 This delicious lunchtime salad is full of flavor! If you’re looking for a fast-paced workouts you can do at home, this is a great one! This blog post highlights my latest Spinning class playlist, jam-packed with upbeat, energizing music! 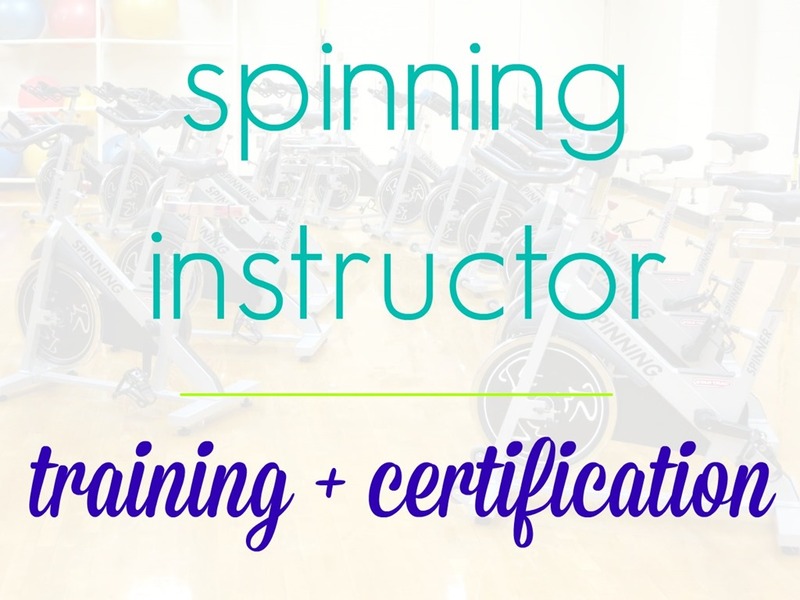 This overview post documented my experience obtaining my Spinning instructor certification, Q&A-style! 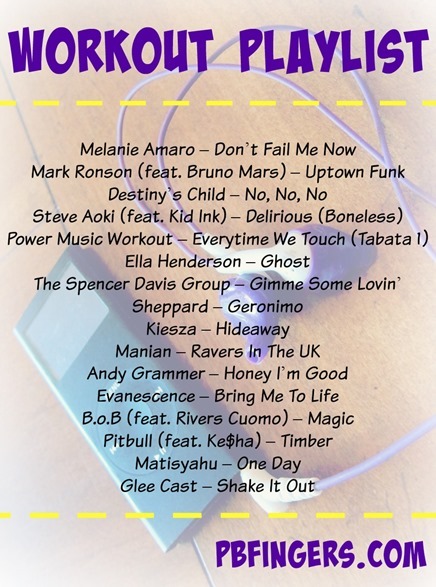 In addition to including a tabata workout, this post highlights a recent discovery of mine: Tabata workout music! 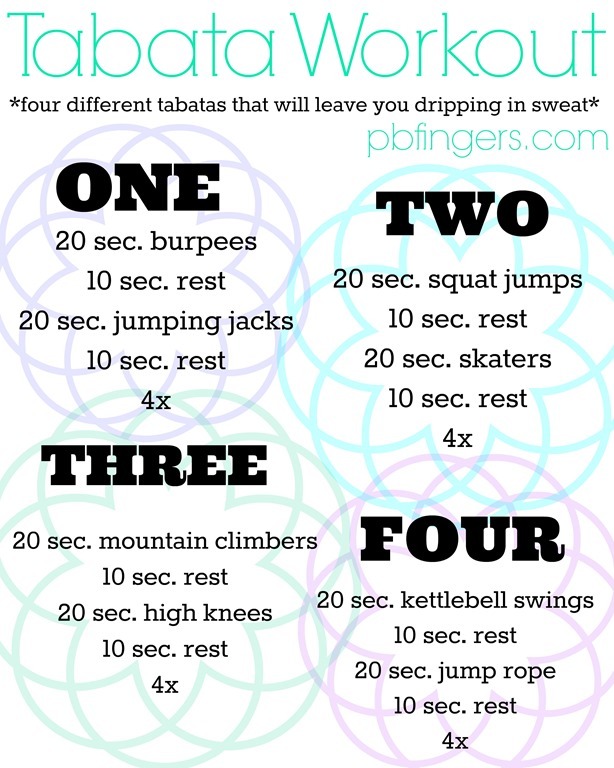 Tabata workout songs perfectly time out tabata workouts so you can blast your music during a tabata workout and not have to worry about looking at a stopwatch. 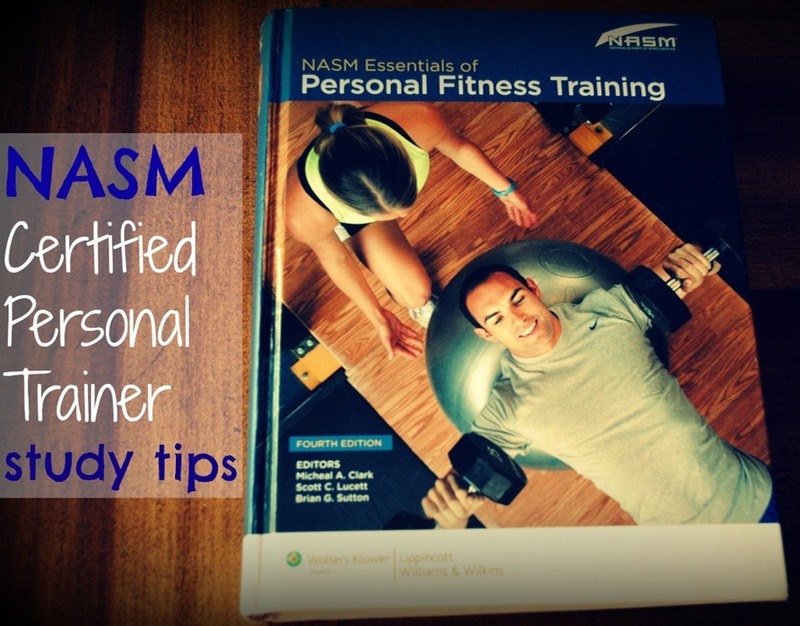 If obtaining your personal training certification is on your to-do list this year, you may be interested in this popular post that covers all of my study tips and tricks related to my NASM personal training certification. The post also includes a 10% off offer that is still valid two years later! I published this post at the beginning of the month to share our plan for beginning 2015 on a more organized note! It divides up 31 simple tasks I tackled every day during the month of January to chip away at my bigger goal of keeping our house cleaner and less cluttered in the new year. This was one of those super random blog posts that received a lot of comments that made me smile! You guys weighed in and shared random things you love a little too much and definitely made this blog post topic a fun one! I think post from two years ago gained some traction in January because of the upcoming holiday! It’s packed with budget-friendly ideas for those who want to spread some love on Valentine’s Day without spending a lot of money. 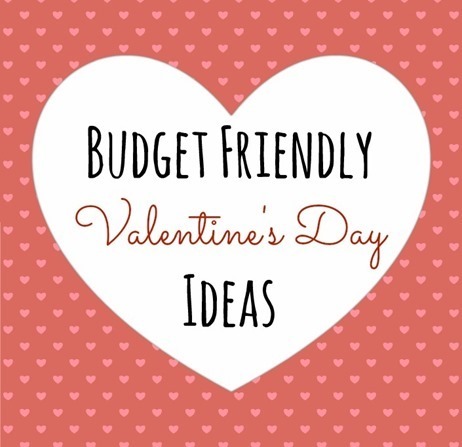 You can find more ideas in this follow-up post that I published last year: Valentine’s Day Gift Ideas. Sadie’s seventh birthday is clearly cause for celebration around here. 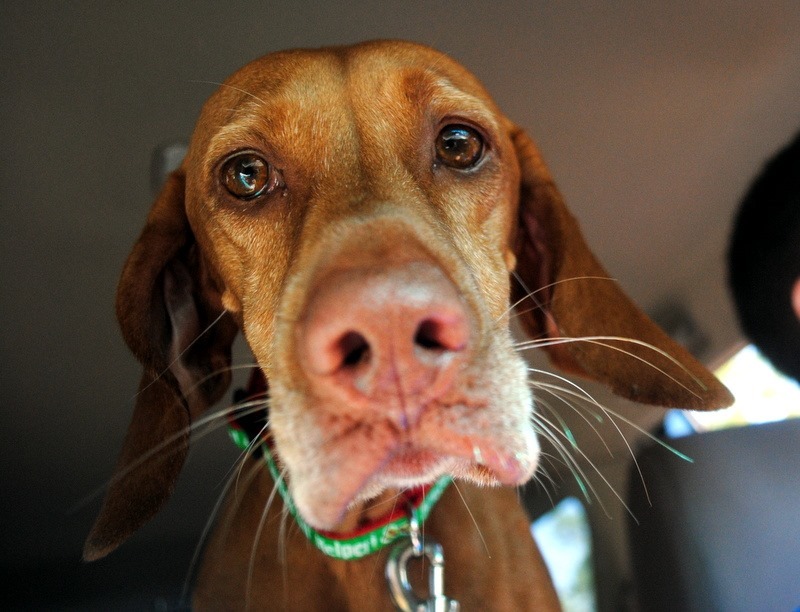 Thank you for sharing the crazy love we have for our sweet, energetic pup! This blog post recapped of a fun day date Ryan and I took to a local museum and delicious vegetarian restaurant in Uptown Charlotte. I adore day dates! Do you have a spotify account where we can listen to your playlists while we work out!? I don’t but I should really look into it… It’s pretty user-friendly, right?? Yeah, it is pretty easy! I’m all for spotify too!! I enjoyed a lot of these posts! 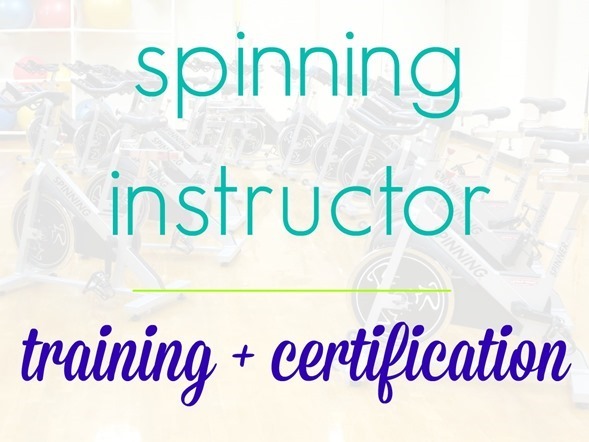 Still have to check out the Spinning Certification Overview. Thanks for the highlights! I need to check out those valentine’s day posts… it’s coming up so soon!! Your workout pinnable images are just the best! I too need to check out that Valentine’s post. Love all the no-bake recipes, so quick to throw together AND it’s usually stuff you have in the house anyways! But I’m confused, wouldn’t 15 posts a month just be a third of your total posts? That seems like a big percentage to recap each month. they’re the most popular posts on my blog that month by pageviews so many are actually from previous years, like the valentine’s day gift ideas, NASM review and the egg white and oatmeal protein pancake! Oh, that makes so much more sense! From the first paragraph and “Here’s your look back your top blog posts of January 2015” it seemed like it was just from this year. A lot of good stuff here! 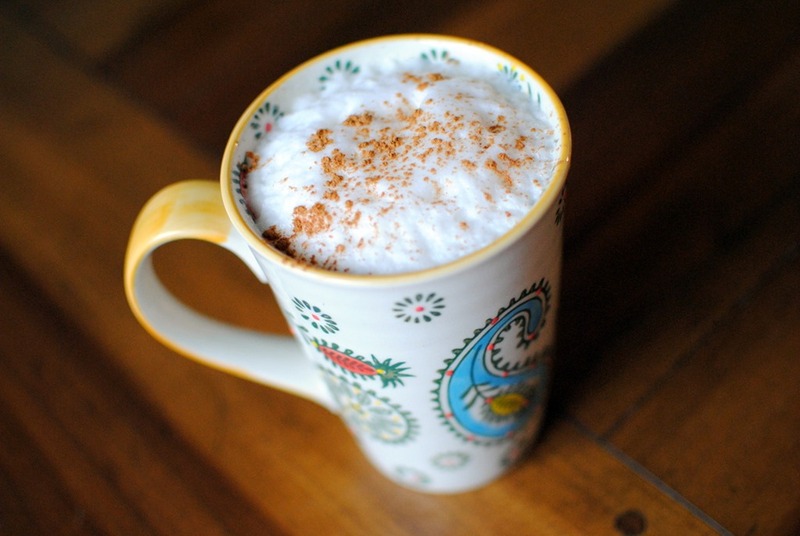 I adore day dates too, but perhaps my favorite of these posts were the quick and easy recipes! Thanks, Julie! How on EARTH did I miss the cookie recipe?! I’ll be trying those out very soon! I adore Sadie’s birthday challenges!! Such a fun way to treat your love bug. 🙂 I think we look forward to it as much as she does!! 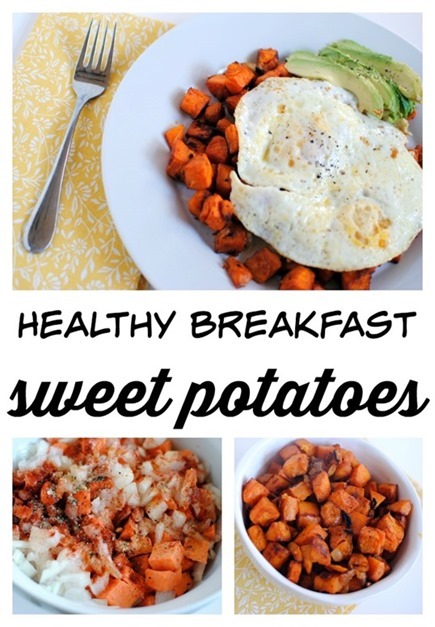 This reminds me I still need to make those sweet potatoes!!! All awesome posts! I’ve been a PBF reader for a long time and I always enjoy these top list posts. I definitely pinned all the workouts and the playlist already. 🙂 Happy Tuesday! I love this idea! It’s like a big list of perfectly customized life hacks that I need to know, all in one place. Especially the workouts, when I run out of time to plan fresh ones for myself for the week, having a list of moves handy is so key. Now I’m craving sweet potatoes and fried eggs! Thanks for the NASM discount code. I’m always thinking about going for it! the post actually features the most popular posts on the blog during the month of january, so some of the posts actually aren’t just from this month, but are from the past 5+ years of blogging (like the valentine’s day post, the NASM review post, the protein pancake post and no bake nut butter balls). i’m also aware that many people don’t check the blog daily, so i thought it would be a good way to highlight posts that may have been missed or past popular posts that newer readers may not have seen from the past 5+ years of blogging. i’m sorry if this post rubbed you the wrong way! What great posts! The post about Sadie’s birthday was so sweet, I was tearing up. 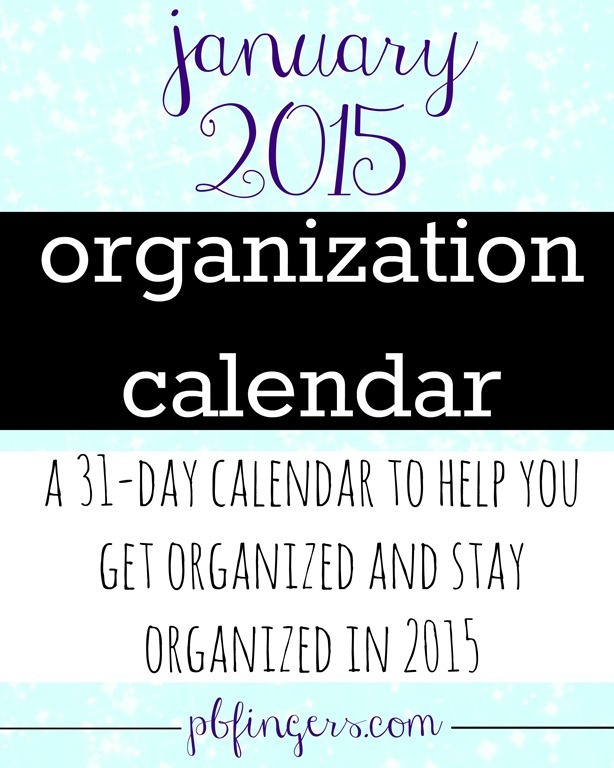 I also can’t wait to look at your organization planner! I knew Sadie’s birthday would be in there! 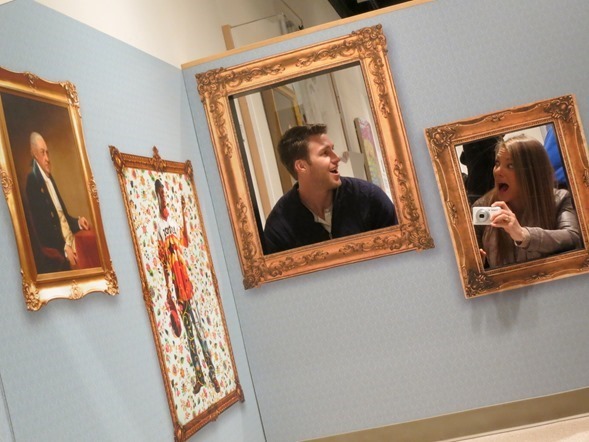 That picture of you and Ryan at the museum oh so cute!!! 🙂 i truly do appreciate the feedback though! thanks for weighing in. hope you’re having a wonderful wednesday! I loved that calendar you posted! So useful, thank you 🙂 all those recipes look phenomenal, I am drooling, I’m sorry 🙂 yay for vegetarian food, have a lovely time! I pinned the sh”t out of your Vday post so it might have gotten some there! I made the 52 card deck, but for our one year anniversary. 52 reasons I love you from each of the 52 weeks. It was so fun! pbfingers!!! Tried that flourless chocolate chip cookie recipe yesterday. OH MY GOODNESS!! Delish. And SUPER easy! My boyfriend also approved 🙂 Thanks for sharing. 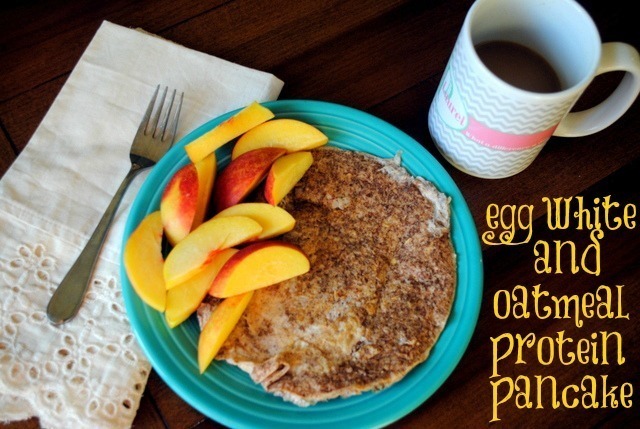 The egg & oatmeal protein pancakes are my fav! I make them at least once a week. Thanks for sharing the recap!